You are currently browsing the Design Dynamics blog archives for May, 2011. Affordable and custom are two concepts not typically used together yet possible at Design Dynamics through our UV flatbed printer. In ths photo you see a 4’x8′ printed sheet of For Sale signs prior to our cutting them down to size. While these are all the same sign, we could have just as easily turned them into 20 individual custom signs because of our digital printing capability. A screen printer does not have the ability to cost effectively produce small quantities let alone a number of different custom version. This capability to work cost effectively with a number of different versions is at the core of what makes us different. 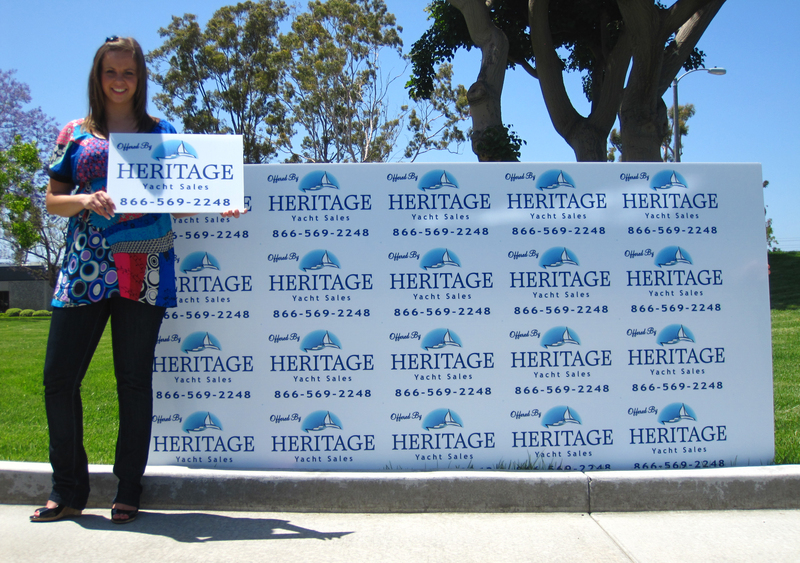 We are the best in Orange County for small, custom corrugated plastic sign runs at affordable prices. Call us and will show you how we can help you better identify, inform, and influence your target audience. Recently while driving on a neighboring freeway, I took a rock to my windshield from a passing gravel truck. Didn’t think anything more about until the next day when I took my vehicle into our local car wash. To my surprise the windshield had cracked after being washed. 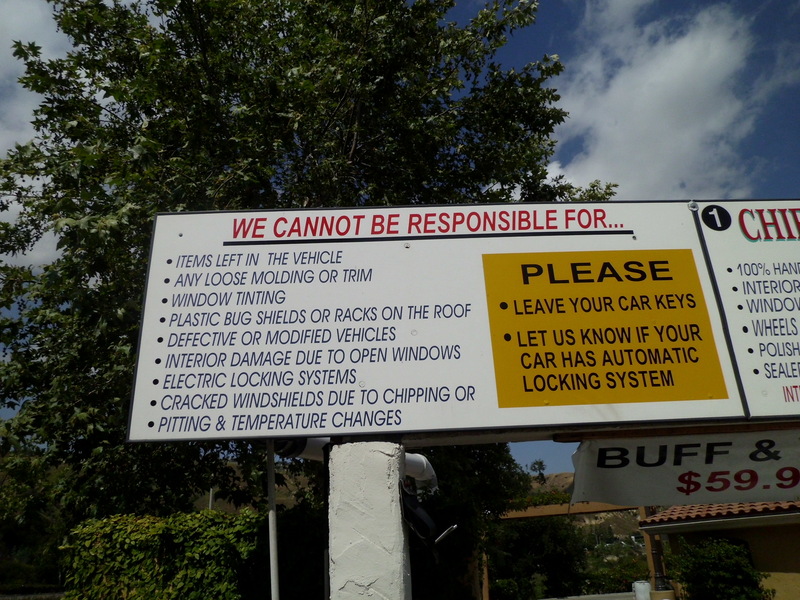 When I pressed the owner about the damage to my vehicle he calmly walked me over to a sign hanging over the vacuuming area that clearly states that they are not liable for “cracked windshields due to chipping.” At that moment all of my arguments for reimbursement went out the door. 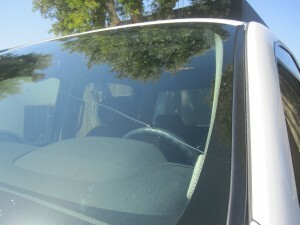 He had a sign that clearly stated what he wasn’t liable for and as a result I got to pay $280 for a new windshield. 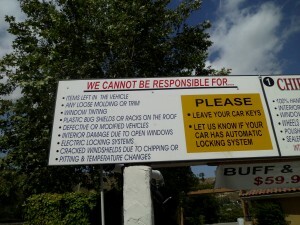 Effective signage not only saves you money it saves you aggravation. Call us at 714-429-7980 to learn how we can help you position the right signage at your business that identifies, informs, and influences.